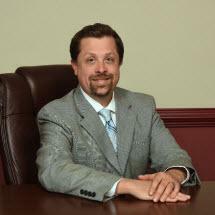 Christopher Scott has conducted a workers' compensation and general liability practice since 2005. He spent the early years of his practice representing injured workers and plaintiffs; however, he spent seven years having represented employers and insurance carriers in litigating, negotiating and settling workers' compensation and civil litigation matters. With McDonald at Law, Chris has returned to his practice of only representing injured workers and plaintiffs. For his work in the workers' compensation field, Chris has been recognized and named to the distinctive list of Pennsylvania Super Lawyers Rising Stars; an honor given to only 2.5% of all lawyers in Pennsylvania under the age of 40. In addition to his workers' compensation experience, Chris has also litigated employment discrimination, wrongful termination and unemployment compensation matter. A graduate of Lafayette College and The Pennsylvania State University Dickinson School of Law, Chris is licensed to practice before the Supreme Court of Pennsylvania, The United States District Courts for the Middle and Eastern Districts of Pennsylvania. Chris has also been a lecturer for the National Business Institute, Sterling Education Services and Lorman Company on matters of workers' compensation.